Roger Petersen, age 69, of Marquette, passed away Thursday, July 13, 2017, at the Bryan/LGH Medical Center West in Lincoln. A Memorial Service will be held 10:30 A.M. Monday, July 17th at Countryside Bible Church, 904 South W Road, Hampton. Pastor Rod Goertzen will officiate. Interment will be 9:30 A.M. Monday at the St. John’s Lutheran Cemetery – Kronborg, prior to the service. Visitation will be from 5 - 8 P.M. Sunday at Higby-McQuiston Mortuary in Aurora. Memorials may be made to the family to be designated at a later date. Condolences may be e-mailed to the family through the mortuary website at www.higbymortuary.com. 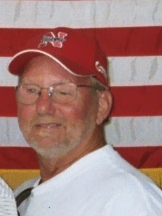 Roger Brun Petersen, the son of Christian Brun and Evelyn E. (Larsen) Petersen, was born in Central City, Nebraska on July 4, 1948 and passed away in Lincoln, Nebraska on July 13, 2017, at the age of 69. Roger grew up on the family homestead near Marquette and graduated from Marquette High School in 1966. On May 28, 1967 he married Rita Huebert at St. John’s Lutheran Church at Kronborg. They lived in Grand Island for two years after their marriage before moving to the Marquette area. Roger was a lifelong farmer. Farming was his passion. Roger enjoyed riding his motorcycles and restoring cars. He was very proud to show off his cars after he completed the job. He was preceded in death by his son, Ritchie Petersen; parents, Christian & Evelyn; step-mother, Verlene Petersen; in-laws, Henry & Viola Huebert; step-father in-law, Jacob Kroeker and brothers-in-law, Dell Thomson and Jeff Fulton. Those left to cherish his memory are his wife, Rita Petersen of Marquette; two children, Renee (Joe) Fangman of Parker, Colorado and Ryan (Stacey) Petersen of Bennington and 7 grandchildren, Hallie, Taylor & Samantha Fangman and Mackenna, Alivia, Asher & Cainan Petersen. He is also survived by two brothers, Allan (Jackie) Petersen of Lincoln and Doyle (Terri) Petersen of Firth; a sister, Marcia Gates of Lincoln; brothers-in-law & sisters-in-law, DeVon (Debra) Huebert and Michael Huebert; sisters-in-law & brothers-in-law, Ramona (Vance) Condon, Norene Thomson and Diane Fulton and many other relatives and friends.